How Far Should You Run? 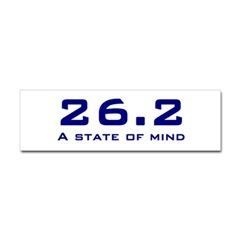 Show the world that you can go the distance with one of our marathon bumper stickers. 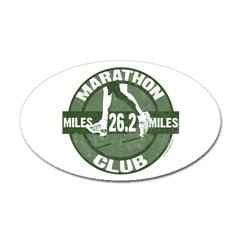 All our marathon bumper stickers are made of the highest quality vinyl using water and UV resistant inks – meaning no fading in the sun or bleeding in the rain. 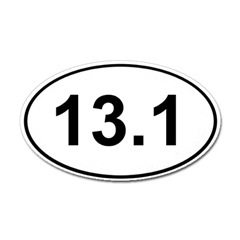 The marathon bumper stickers are extremely durable and can be used as a traditional bumper sticker on your car, or wherever else you choose to show your love for your sport. 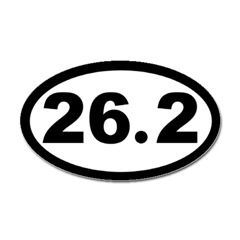 The size of the marathon bumper stickers are noted on the images below. 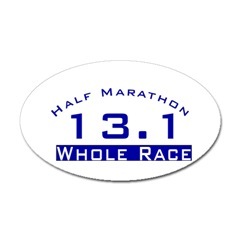 The marathon bumper stickers are US$14 each, which includes free delivery, plus as a bonus to MarathonPal visitors, you will also receive 4 free servings of Hornet Juice, a scientific sports drink that will increase your running endurance by quickly converting your body fat into a source of energy. It worked for gold medal winners in the womens’ marathon at the Sydney and Athens Olympics. To read more about Hornet Juice, click here. This offer is for a strictly limited time, so don’t delay and order yours now! 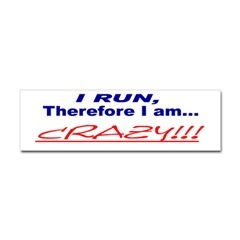 Please browse the rest of our site for all you need to get the best out of your marathon training. 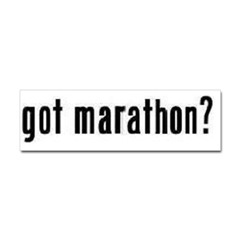 Select your marathon bumper sticker and click on the “Buy Now” button to pay, using your credit card or PayPal account. 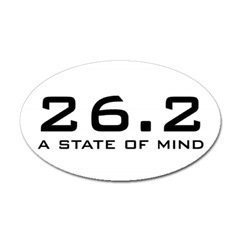 26.2 is a State of Mind! FREE eBook: ‘5 Minutes & Under’ Exercises For Busy Runners!